We briefly caught up with @vastaire2090 and Vordul Mega while they were in SF (sorry, we planned on doing a video interview, but it was too loud at the time). They were pretty excited about getting back into the studio to record new material with a number of different producers. 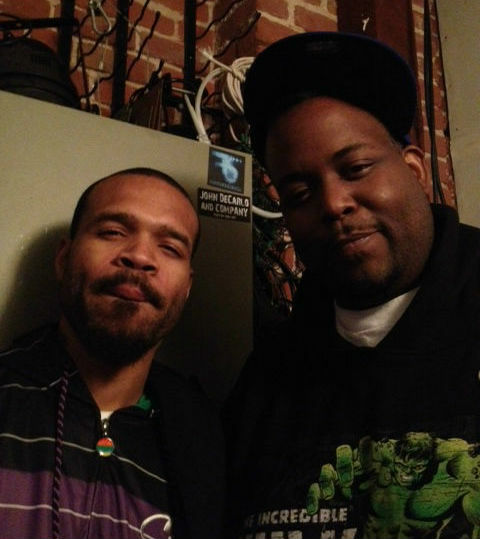 Vast also has a project with Kenyattah Black @kbliggah called Crimson Godz aka Black Voltron with beats by Bill Cosmiq. We asked them about the status of Atoms Family…they said it’s pretty much defunct. They’re still cool with Cryptic, but he’s just not doing music anymore. New music will be coming out on their label, IGC (Iron Galaxy Clik) Records. Vast is also working on a book called The Asiatic Calendar.